Some investigators have suggested that medulloblastomas can be distinguished from other cerebellar neoplasms by demonstrating “restricted diffusion” on the Apparent Diffusion Coefficient (ADC) map obtained from diffusion-weighted imaging (DWI) sequences on magnetic resonance imaging. Previous authors have postulated that this observed restricted diffusion is a reflection of very high cell density. There has been a tendency to assert that pediatric medulloblastoma uniformly demonstrates restricted diffusion on DWI. However, our clinical observation has been that there are pediatric medulloblastomas that exhibit normal or even increased diffusion on DWI. The current study was undertaken primarily to determine whether restricted diffusion is uniformly present in pediatric medulloblastoma and secondly to look for pathological features that might distinguish medulloblastomas with and without restricted diffusion. The DWI characteristics of pathologically confirmed medulloblastomas diagnosed at our institution were retrospectively reviewed. The ADC was obtained in two non-overlapping, solid, non-hemorrhagic, non-necrotic regions of tumor and averaged. An ADC below 1 × 10−3 mm2/s was considered to represent restricted diffusion. A detailed pathologic review of each tumor was conducted. 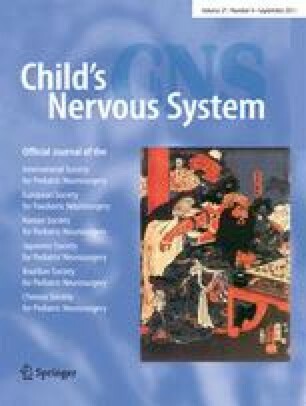 Ten cases of medulloblastoma were reviewed, of which two demonstrated average ADCs above 1 × 10−3 mm2/s (1.223 and 1.169 × 10−3 mm2/s, respectively), indicating no restricted diffusion. Pathologic review revealed that both of these non-restricting cases displayed a lack of reticulin deposition by light microscopy. DWI does not appear to be an entirely reliable means of distinguishing medulloblastomas from other cerebellar neoplasms. Histologically, restricted diffusion in medulloblastomas may be related to reticulin deposition. Declaration: This work was presented in abstract form at the Canadian Association of Neuropathologists (CANP) 50th Annual General Meeting, Toronto Ontario, October 14–16, 2010. Ethical approval for this study was provided by the University of British Columbia and Children's and Women's Health Centre Research Ethics Board, approval number CW10-0241/H10-02382. All research activities were performed in accordance with the ethical standards of good clinical practice as outlined in the 1964 Declaration of Helsinki.